Agent-matching service, UpNest, is offering consumers $300 for referring a consumer if the consumer closes a transaction with one of UpNest's partner agents. Brokerages and agents can potentially test state and federal laws if they pay referral fees to people without real estate licenses. UpNest claims agents have submitted nearly 100,000 listing proposals through its platform to consumers. 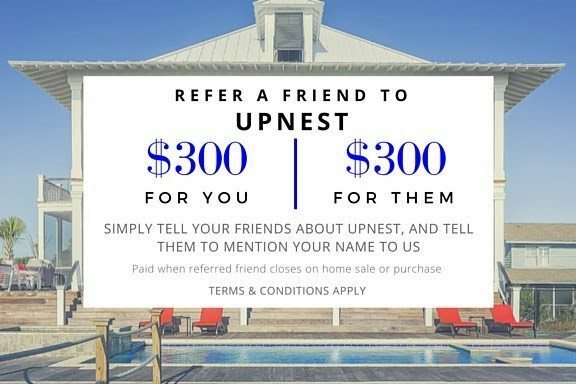 UpNest, an agent-matching service whose CEO is a licensed broker in California, is dangling an enticing carrot to past users: Refer a friend and get $300 if the friend closes a transaction with one of UpNest’s partner agents. Like a similar offer recently launched and then withdrawn by another high-tech brokerage, UpNest’s offer highlights a lead-generation strategy that can potentially bear fruit but also may raise legal risks. Paying consumers for referrals may help real estate firms reel in business, but companies that offer finder or referral fees to non-agents must carefully navigate sometimes-murky state and federal laws that govern who can receive a fee and under what circumstances. UpNest, which is based just south of San Francisco in Burlingame, California, markets the referral program through email, but it doesn’t appear to publicize the offer on its website. Under the referral program, both the person making the referral to UpNest and the person referred to UpNest earn $300 if a transaction results from the referral. UpNest CEO Simon Ru said UpNest is experimenting with the referral program and believes that the offer complies with state and federal laws. While some users have told UpNest they want to refer business through the program, it hasn’t generated any transactions yet because UpNest only launched the program last week, Ru said. Users can only earn referral fees once their referrals close deals with UpNest partner agents. Home sellers submit their information to receive listing proposals from up to five agents. Part of the original idea of the service, once called LessThan6Percent, was to spur agents to compete on price for clients. 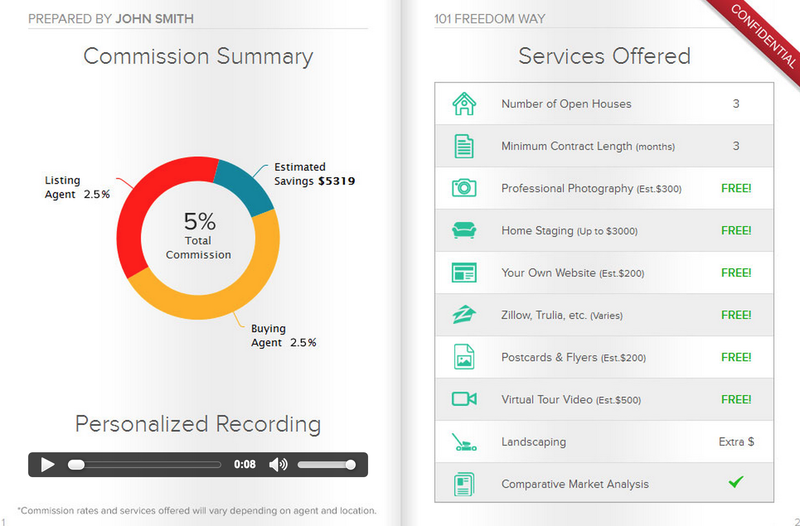 A less-publicized version of UpNest enables buyers to connect with agent’s willing to offer commission rebates. Perhaps partly reflecting LessThan6Percent’s rebranding to UpNest, UpNest sees itself as more of a “hiring platform” than a “bidding platform,” said UpNest CEO Simon Ru. Some agent-matching services have faced pushback from the industry, but UpNest has proven to be popular among consumers. The startup has generated nearly 100,000 customized proposals for consumers since launching in 2013, according to Ru. Consumers can get a chance to win a referral fee if they advise a friend to enter their name in the “additional info” box of UpNest’s listing proposal request form. In UpNest’s email about the referral offer, the startup tells recipients they can spread the word about the program for a chance to earn a fee by sharing the offer on Facebook and Twitter and telling others about the firm’s five-out-of-five star rating on Yelp. A screenshot of UpNest’s offer. Brokerages that dangle referral fees to people without real estate licenses can easily wander onto shaky legal ground. Many states prohibit anyone without a real estate license from collecting a fee for referring business to a licensed agent. In other states, non-licensees can earn referral fees, but only if they don’t engage in any activities that require a real estate license to earn compensation. Many states consider soliciting business from homebuyers and sellers to be licensed activity, meaning consumers who generate leads for brokerages in exchange for compensation or brokerages that pay for such leads could be skating on thin ice. Some industry experts also contend that the Real Estate Settlement Procedures Act (RESPA) further restricts the practice of paying people without real estate licenses for referrals. Inman learned of UpNest’s referral program not long after Open Listings, a high-tech brokerage covering Los Angeles and San Francisco, introduced a similar offer under which the firm offered to pay $500 to anyone for referring consumers that closed a transaction with Open Listings. Following an inquiry from Inman, Open Listings ended the referral program, which it said had only been in soft launch. Asked today for an update on that program, Schoenholtz said “it’s no longer a priority” because Open Listings is receiving lots of organic attention. “We’ve been too busy to put it on our roadmap or perform additional due diligence,” he said. Ru, the CEO of UpNest, noted that UpNest’s offer differs from Open Listings’ now-defunct offer in that it’s only made to past UpNest users. “We’re sending out to people who have done transactions with us or are in the process of closing,” he said. Ru said UpNest hasn’t consulted an attorney about the referral program, but he said that he believes the startup has all its legal bases covered. He added that he’s under the impression that RESPA applies to real estate agents and lenders referring business to each other for fees, but not to brokerages paying consumers for referrals.